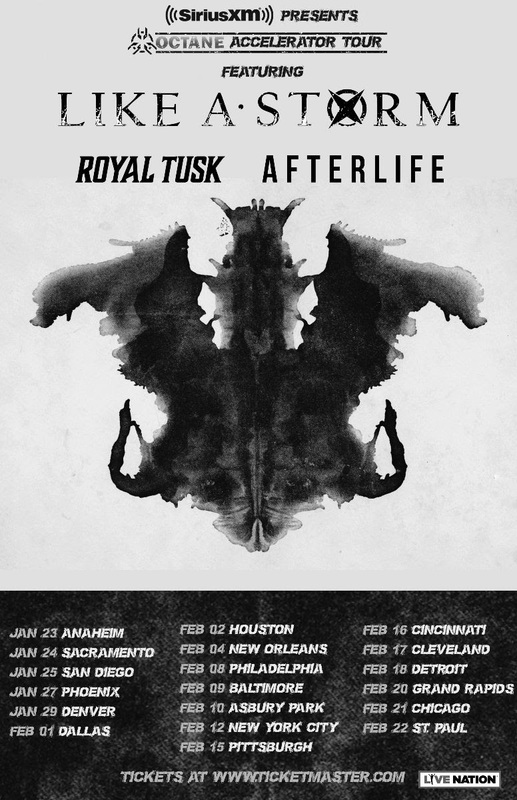 December 10, 2018 — ROYAL TUSK have announced a new batch of U.S. tour dates on the first ever SiriusXM “Accelerator Tour.” The band will be supporting New Zealand rock band LIKE A STORM alongside AFTERLIFE. Dates kick off on January 23 in Anaheim, CA and stretch coast to coast before wrapping up in St. Paul, MN on February 22. This is the first time the band will embark on a full-fledged U.S. tour. Royal Tusk just wrapped up a Canadian tour supporting label-mates, POP EVIL. ROYAL TUSK recently released a music video for their current single, “Aftermath” exclusively via Billboard Magazine. 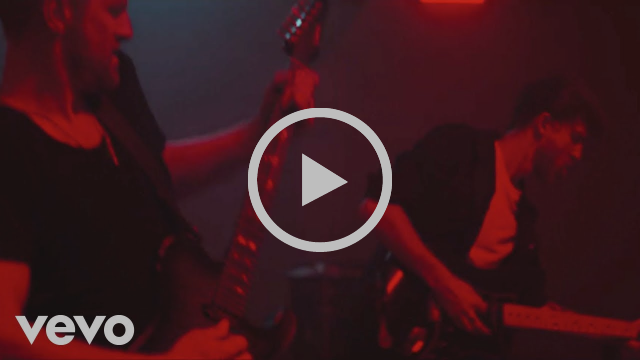 Directed by Evan Dennis, this is the first music video the band has released off their LP that came out on October 26, 2018. Blue-collar troubadours from the Great White North, ROYAL TUSK are steadfast champions of the majesty of kickass riffs, meaty hooks, a thick bottom end, and loud guitars. The four-piece band born in Edmonton, Albertamount a high-octane assault on the lazy security-blanket, self-aware irony of hipsters and the disingenuous commercial pandering of rock poseurs alike. This is music with meaning, sometimes even a message, that’s always built around a powerful vibe and uncompromising passion. Royal Tusk is a deeply soulful celebration, brimming with working-class optimism and tempered by renegade realism. 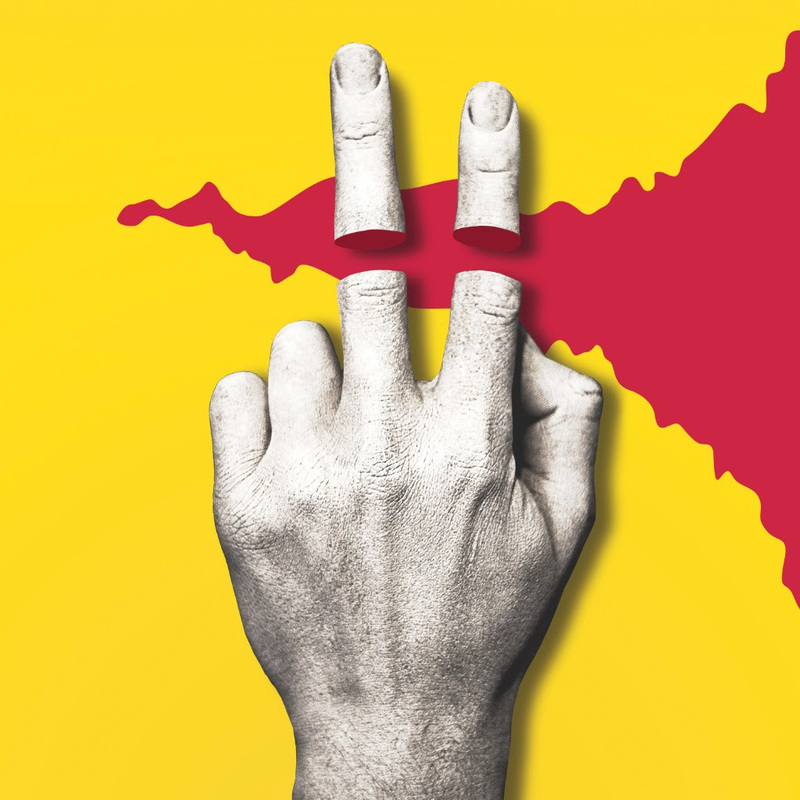 On their sophomore-slump-smashing TUSK II, the group summons the effortless energy of an era of rock music when bands weren’t content to merely reverse-engineer hit-making formulas to move units. 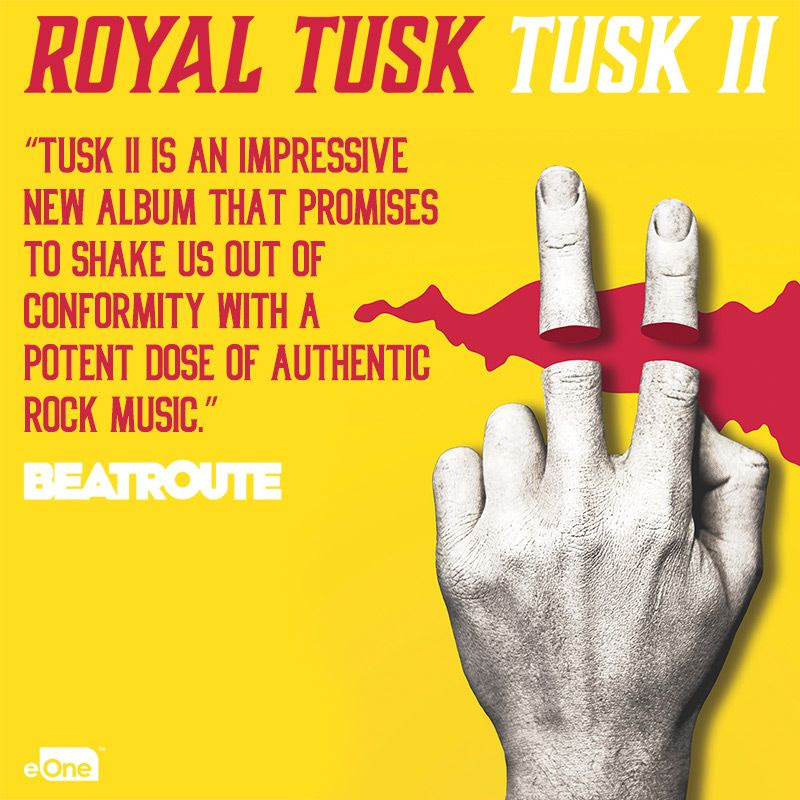 Royal Tusk is a band with more in common with Deep Purple and Aerosmith than anything on commercial radio. TUSK II arrives on the heels of their well-received debut, DealBreaker (2016), and their first EP, Mountain (2014). Trailblazers like Soundgarden, Mudhoney, and Pearl Jam defined success on their own terms, putting artistry and authenticity first. Royal Tusk follows in that fine tradition, reveling in unbridled creativity that is provocative, nuanced, and captivating. 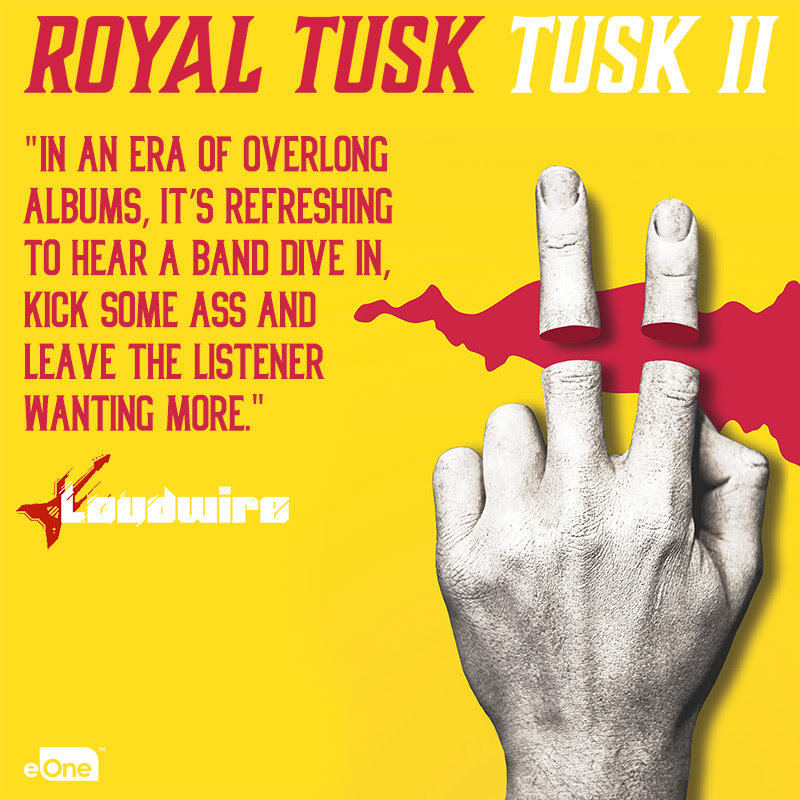 The laidback charisma of stoner groove, the polished melodicism of classic and progressive rock, and the energy of punk all collide within Royal Tusk, earning them a steadily building buzz as big as their riffs.